Crisp and cold fall morning calls for a Beathearts rewind of a couple of our favourite vocoder slowjams to warm us up. There’s somewhat of a love-hate relationship with the use of vocoders. If used properly as an jam session instrument rather than an cover-up tool it can add that electronic funk edge we all love. In the 80ies there was of course the godfather of vocoder Roger Zapp Troutman. As you may remember Roger was shot outside his studio by his older brother Larry on April 25th 1999 but left some amazing tunes behind. In the 90ies there was his new jack apprentice Teddy Riley, dropping jems such as Teddy’s jam, SWV’s So into you etc. Passing the millenium there’s was no clear cut vocoder champ except perhaps west-coast new funk producer Dâm-Funk. For the 2010s, two contenders are two other Beatheart favourites, namely Robert Glasper and Dwele. Both the jams somehow went under the radar but definitely deserves to be pulled out of the crates for a respin. Check them out below. This stuff been around blogs since the beginning of the summer, we got the radio rip through youtube, saw the behind the scenes footage, and even got to watch the 7" single get pressed - now, we get the Okayplayer-premiere of Invincible and Waajeed's 'Detroit Summer/Emergence' music video. It's a sequel to the two's previous collabo, 'Detroit Winter', off of the Platinum Pied Pipers album, Triple P. 'Emergence', The B-side joint we actually feeling a bit more than the title track. Watch two of the finest Detroit have to offer collab in this El-lqaa directed video. The two song 7 inch dropped 10th of August, you can buy the actual single at Invincible's website or buy the digi single through iTunes. We felt we needed to show you the video where we get a tour of the Archer Record Pressing plant in Detroit to see the 7" being pressed. Pretty cool vid if you've never seen vinyl being made before. Watch it below. Detroit Summer is meant to be a preview, Invincible and Waajeed are currently working on releasing a full collabo album set to drop in 2011! More stuff from Illmind! Awesome music..
Illmind released a free album a couple of days ago with his new electronic/dance/pop group called Smokey Robotic. They create what they call Superfuture music and we really dig it. Try and keep yourself from bouncing in your chair.. Next level. Samples of our favorite tracks from the album below. Download this amazing album now! It’s FREE! The slick soul singer Mayer Hawthorne is back with another amazing single 'I Need You'. This 12-inch record will be released August 17th on Stones Throw Records and produced by Nottz. The vocal & instrumental of 'I Need You' are both on one side of this single. The flip side contains an etching by Miami illustrator Freegums. We've been roaming bandcamp for new fresh free music, and we came up with these really nice releases from the late Detroit emcee Big Proof of D12, Brooklyn native Fresh Daily and Ann Arbor rapper/producer Trés Styles of Athletic Mic League. Enjoy! Late rapper Big Proof will live on with 'Time a Tell', a new album on Iron Fist Records label. 'Time a Tell' features 18 tracks written and recorded by Proof during a 24-hour period in January 2006. 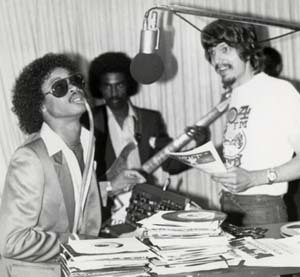 He was challenged by his friend Julius Myers, known as DJ Jewels Baby, to write and record an album in one day. He says they started recording at midnight and never slowed down. Proof, whose real name was Deshaun Holton, was killed 11 at an after-hours club in Detroit, he was 32. Fresh Daily drops his new EP, 'Mothership/L A N D'. At 21 tracks this may be the longest EP ever, but this one is dope front to back, so check it out! Beats by Devonwho, Hi-Res, Flying Lotus, Melo-X, Mndsgn, Samiyam and J Dilla. Special release from Trés Styles of the AML, 'Summer Love'. It's been a minute but he's still got it. On the production tip he's known as Forekast of the Lab Techs. Summer Love has production from major beatmakers 14KT, Haircut aka Mayer Hawthorne, and Zo!. Word from Trés Styles: "Whudupdoe?! I’m sending out a free download of my first solo project entitled 'Summer Love: The Mixtape' which is mixed entirely by DJ Graffiti. It’s been a long time coming, so I appreciate your love and support. This project is meant to provide love themed songs over feel-good music, perfect vibe for the Summer time. Every song captures an aspect of love that I, and hopefully you, have gone through at some point in life. So check it out, turn it up and feel the vibe! Please feel free to share it, and play it, wherever and with whomever you please!"